"Sparky" is by Am. Can. 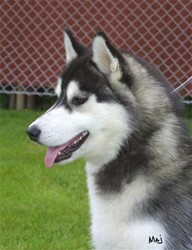 Ch Innisfree Keebler x N.DK. Ch. KBHV Innisfree Tuff Cookie. He is co-owned by us and did live with us untill he was one yr old. He has won very well in the show ring. Many BIG & BIS placement's to his credit. He is not used for breeding. "Vilde" is a litter sister to She-Ari, pedigree under. She was sold at tree mnts old. She has won very well in the ring. She has a super temperament. We are lucky to have her young son Lucas at this kennel. 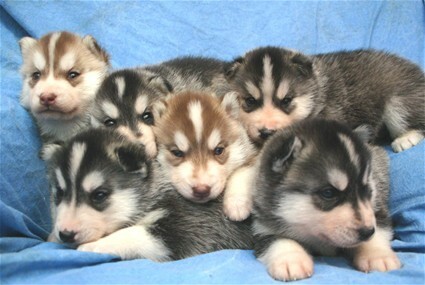 "Sydney" a litter brother to She-Ari, pedigree under. He moved to USA as a young puppy and has been winning very well. SheAri is by Multi Ch. Choan Breaking the Wawes x INT N UCH NORDV-01 Carillo Serena She hade two lovely litters in our kennel before she had her own home. Two of her "kids" are living with us. Litter sister to She-Ari, pedigree over. 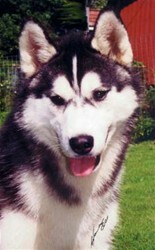 "Stuffi" moved to her fathers home at Taymyr in Denmark as a stud fee pup. 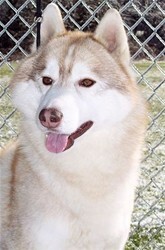 She has won very well, and had two litters at Taymyr Kennel. Felix is co-owned by us, and is a very good sire. He has sired two litters, and we hope to have som more puppies from him. He has many BIG & BIS placements to his credit.